A week after Agriculture Secretary Sonny Perdue defended his plan to move two major statistical offices outside of Washington, D.C., 1,100 scientists and economists joined in a letter to key congressional committee heads opposing the plan as a threat to research objectivity. “As scientists and researchers, we are a part of the USDA's constituency and have a vested interest in the continued success of the agriculture research conducted through the USDA,” read the letter critiquing the plan announced in August to relocate the Economic Research Service and the National Institute of Food and Agriculture. “However, we believe the proposed changes would have both immediate and long-term negative impacts on the USDA's science-based mission and consequently on those who the USDA is meant to serve,” said the letter signed by numerous former department officials. 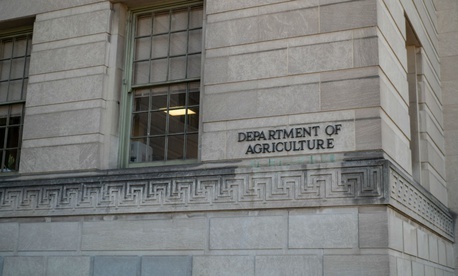 Complaining that the department had provided little evidence for the claimed cost savings and recruiting advantages, the signers argued that the moves to a still-unselected location would “hamper the ability of the agency to raise the profile of agricultural research, extension and education, by preventing collaboration with a broad base of stakeholders and federal agencies, many of whom are based in the Capitol area. The interdisciplinary research and collaboration that NIFA currently engages in with the Department of Defense; the National Science Foundation; the National Institutes of Health; the Office of Science, Technology and Policy; and myriad other entities in Washington, D.C, would also be threatened or even stopped, negatively impacting stakeholders across the country,” said the letter coordinated by the Union of Concerned Scientists. The scientists’ group quoted several individuals in releasing the letter asking Congress to delay and block the moves. The Agriculture press office did not respond to requests for comment by publication time.